This topic contains 23 replies, has 5 voices, and was last updated by James 3 years, 9 months ago. Can you say that again? I don't understand. But I still have not been able to fix the Vendor terms and conditions problem. Also, the reviews have changed back so the sellers can delete reviews. It was fixed before, but now it has changed back. Can we fix this issue also? Sorry for my english… In the back-end I have this problem as in the attached picture before. A problem with formatting.php… But I think it's the fault of the theme. 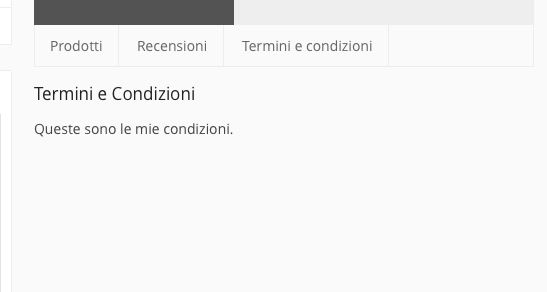 About terms and conditions, if you use another theme or if you use the Dokan theme, you'll see that they work. So I think that the ‘terms and conditions' do not see why the theme Marketica not have planned. Here, using the theme dokan. And while they are on vacation and Marketica Staff also. We have fixed this issue. In our next release this fix will be available. Due to Eid vacation we can not update the plugin right now. Please keep patience. 🙂 ah ok! Good news. Thanks and happy holidays! I am having the same issue. On store page, there is no address – only “array”. Terms and Conditions are not showing either. I am using dokan theme. Did I understand correctly that this is a fix coming in a new release? If yes, when will be the new version released? Sorry for not creating a new thread. I updated Dokan and it fixed the array/address problem. But the Terms of Agreement is still messed up with Dokan. Any updates Nayem? Thank you. Thank you. I just did the same and it fixed the problem. I have lot`s of customization on my theme so the fun begins :(. p.s. for dokan folks – when is the new theme release planned for? Please provide a screenshot here of your terms and condition page. @d If there is major changes in Dokan plugin with the design or something then we will update the theme again. I am using Dokan plugin, but not the theme. I am using Marketica Theme. With the plugin, it is simply not showing up. No errors or anything, just nothing to show. Do you still want me to show screenshots? Thank you!!! Also, I downloaded your new plugins and new support Button is not showing either. Please let me know and I can send you login credentials if you are interested in seeing it. The topic ‘Terms and Conditions not showing + Vacation section spelling/grammar errors’ is closed to new replies.